Miss C starts back at school on Monday and that means summer is over for us, even if the weather doesn't think so; it's still hot as sin here. I've loved having her at home with me all summer but I think she's chomping at the bit to be getting back into a daily routine; seeing her friends again and filling her little mind with lots of new information. 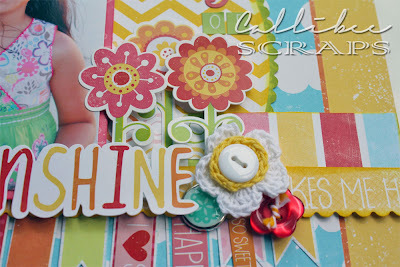 I'm still trying to get out more holiday pages, so I get to hold onto summer for a little longer. There seems like an endless amount of photos to be scrapped. Here's one with such gorgeous summer colours. Again, from one of my favourite paper companies. Where's my deck chair and lemonade? 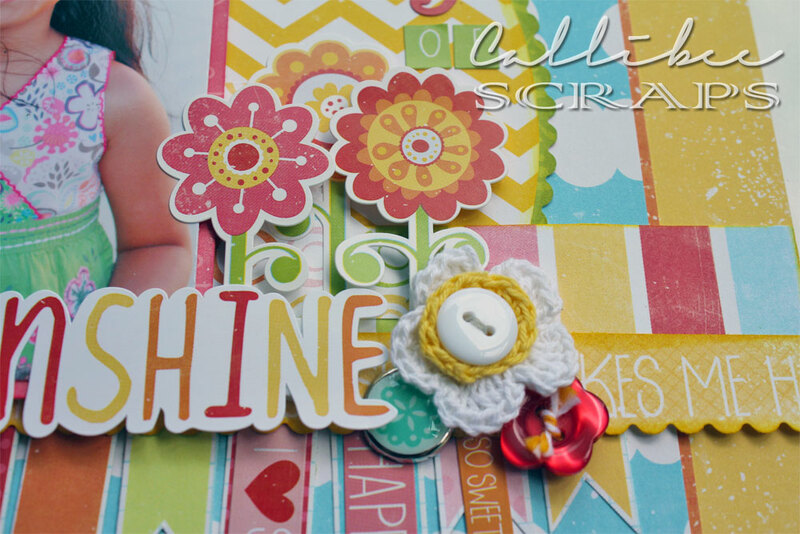 Stunning sunshine colours brighten up any layout. Are these elements not the cutest? 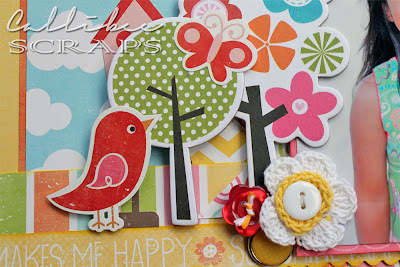 I love the little bird and flower tree. Flowers pretty enough to pick. Loving the white and yellow crochet flowers.